Every September lots of foreigners and also many Finns head to Lapland. People from all around the world arrive here by plane or with campers and caravans. It’s almost like a ritual: something magical is going on up here and people are eager to see it for themselves. They want to see the fall colors. 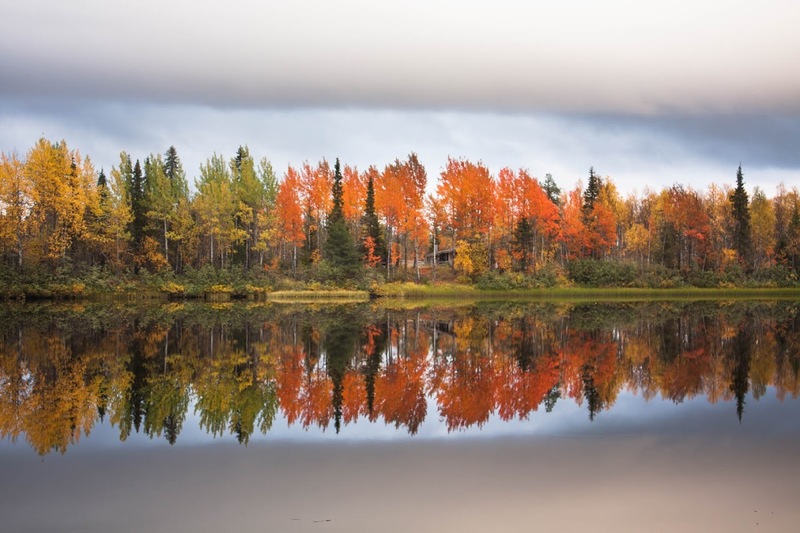 The best time to see the Lappish nature glowing in all shades of yellow, orange, red and green is September. You might be happy to know that in autumn you don’t have to worry about mosquitos, as they are long gone after the first frosty nights. So you can just relax and enjoy the beautiful scenery. In Lapland nature is practically everywhere around you, so it is very easy to find good spots to admire the fall colors. 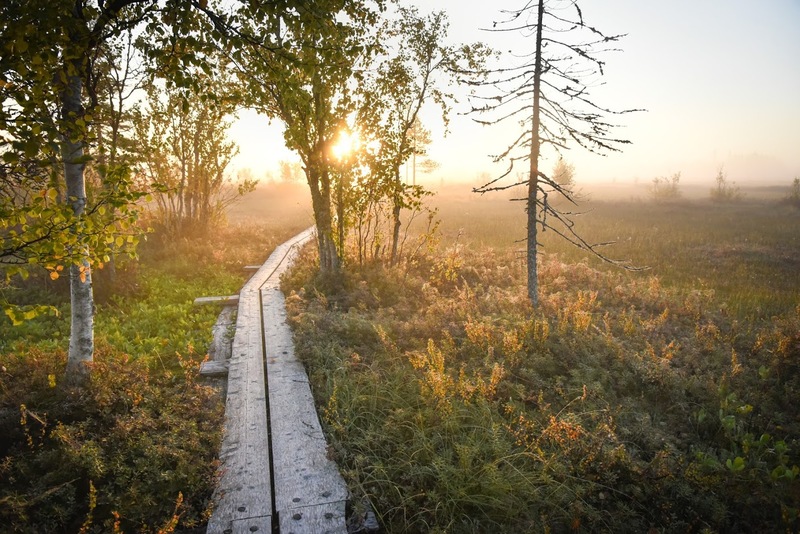 Enjoy a short nature path or take a longer hike: in the national parks of Lapland you’ll find many different kinds of routes to walk on. With a bit of luck you’ll probably see lots of reindeer as well! Now it’s also a good time to pick some berries. 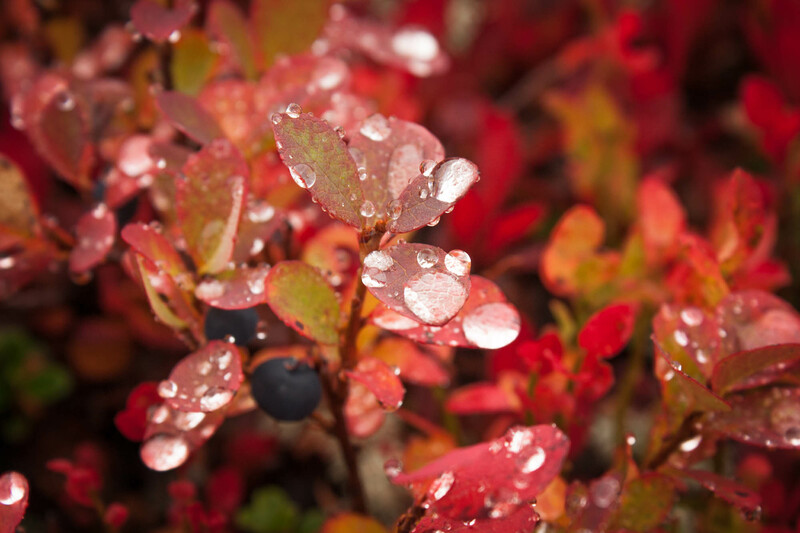 In Lapland you’ll find bilberries and lingonberries as well as crowberries, bog bilberries and alpine bearberries. They are all quite delicious! Thanks to everyman’s right, you can pick berries without asking permissions, as long as you stay away from peoples’ yards. 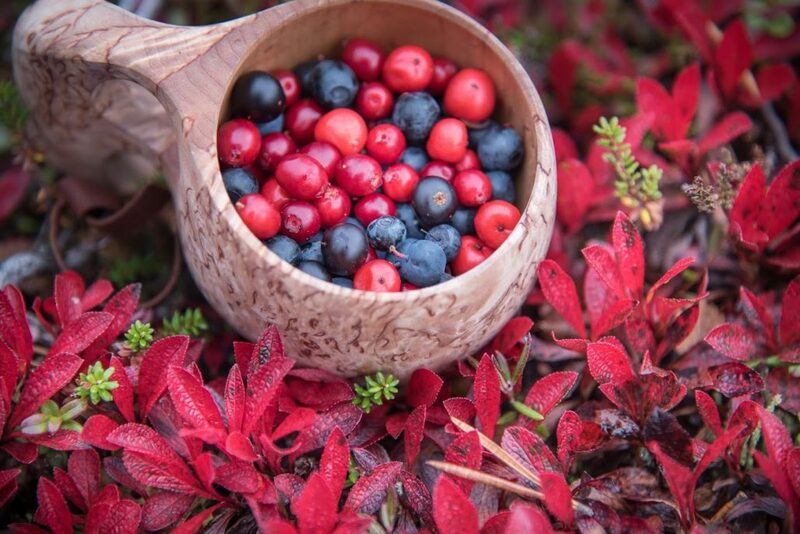 Most berries in Lapland are safe to eat, but if you’re not sure, do not hesitate to ask a fellow hiker for some advice. I recommend that you go for a walk early in the morning. That way you can enjoy colors of the rising sun and see how the fog slowly disappears after a cold night. 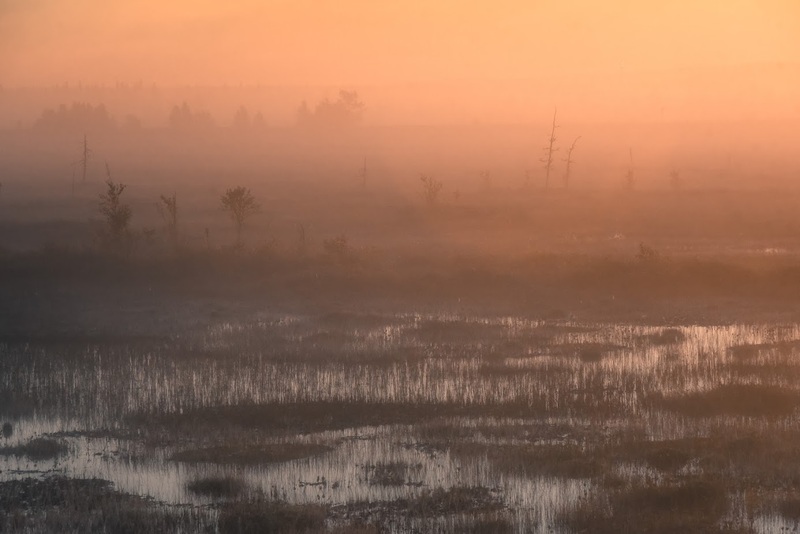 Best places to enjoy this amazing phenomenon are swamps. 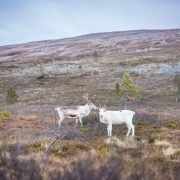 In Lapland there are five big national parks: Pyhä-Luosto, Pallas-Yllästunturi, Riisitunturi, Urho Kekkonen and Lemmenjoki. 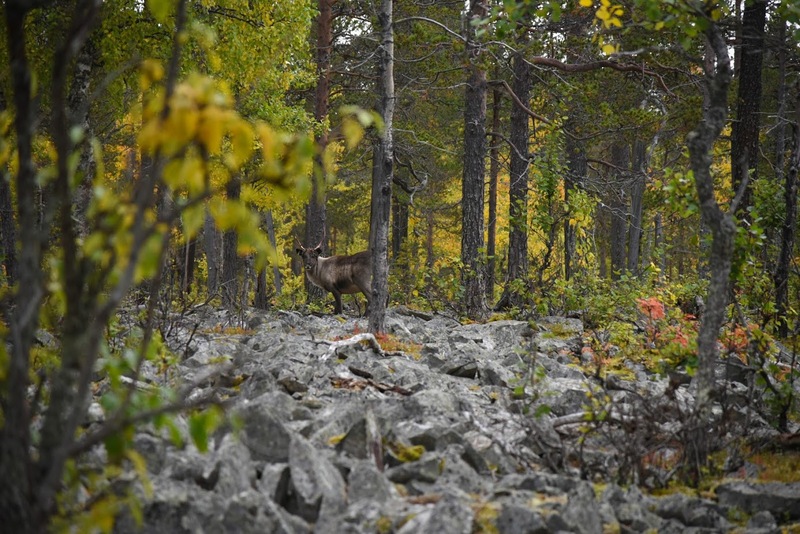 In addition there is Oulanka national park by the Russian border and Bothnian Bay. Check out the links to learn more about these national parks and to find out how you can reach them by public transport. 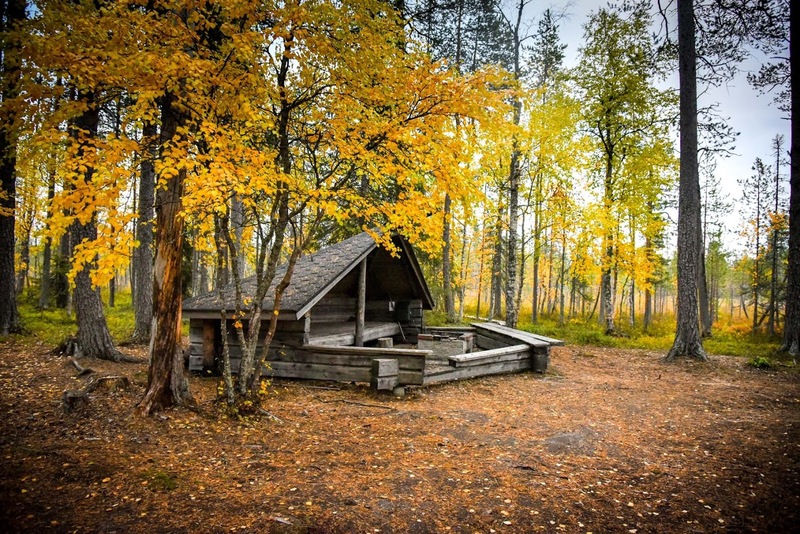 In national parks, as well as practically everywhere in Finland, there are lots of public lean-to shelters. Usually they are found on nature trails. Sit down and relax, make a campfire and enjoy your packed lunch in the middle of the nature! This lean-to can be found on Paavon polku nature trail in Sodankylä. Wanna see a bit futher? 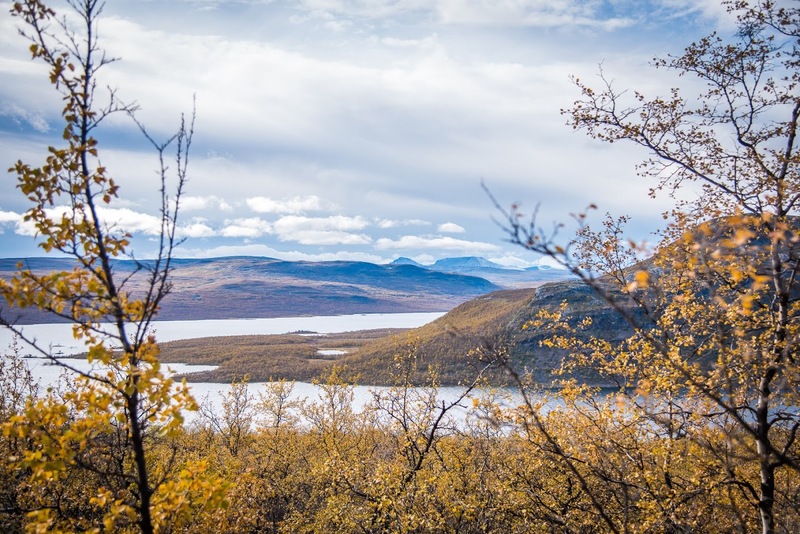 No matter where you are in Lapland, there are most likely many fells quite near you. Contact the local tourist centre to find out where is the nearest trail to the top. 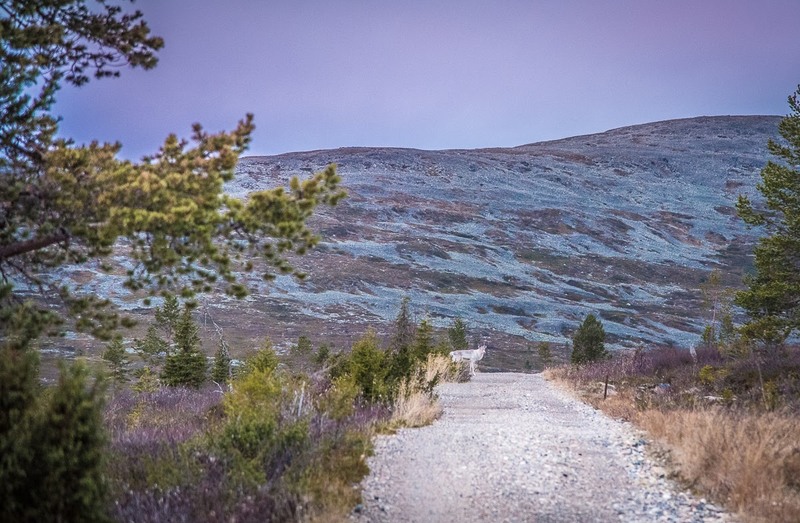 On the way to the top of Saana fell in Kilpisjärvi, Enontekiö.